The amazing Peta from She Quilts a Lot has written a book! If you are a fan of pre-cuts (which I definitely am!) then A Piece of Cake is the perfect book for you. 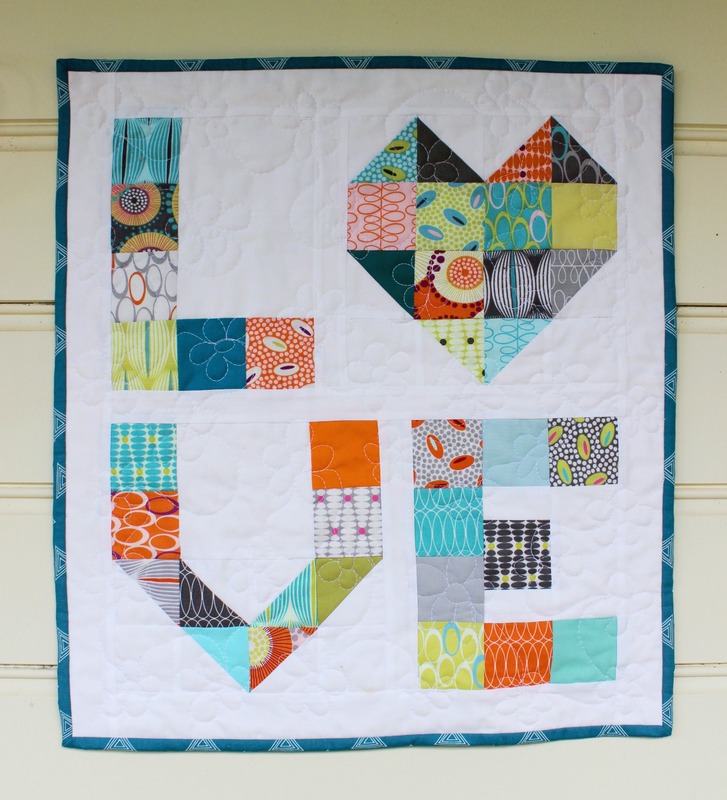 All the quilts are made using 10" squares or a Layer Cake. 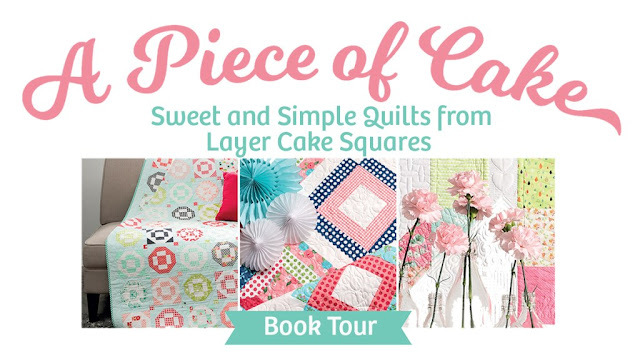 There is a really good mix of designs and quilt sizes in this book so whatever your style, or whoever you want to make a quilt for, you will find the perfect quilt in here. As soon as I saw the quilts in the book I knew I wanted to make the Wrapped in Love quilt. 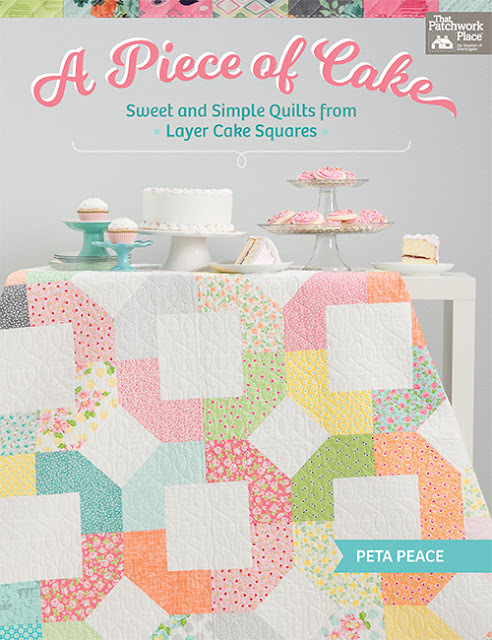 The original is made with 10" squares but Peta has also given the instructions for making a mini version. 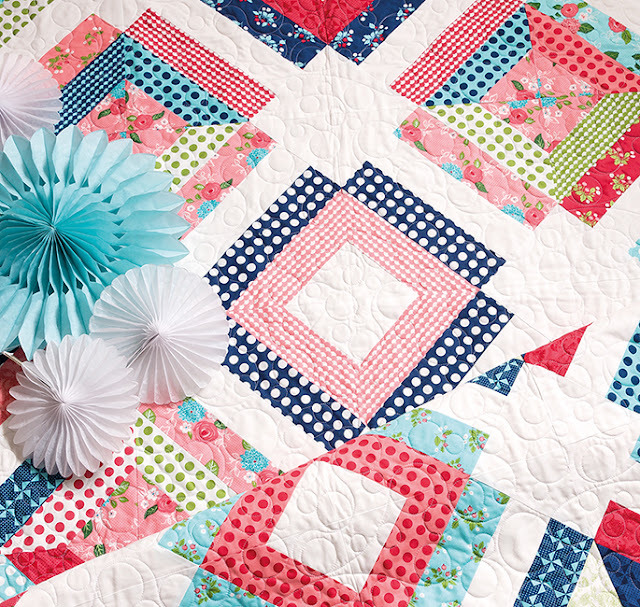 I have A LOT of scraps from jelly rolls so that is what I used for my mini quilt. The instructions and diagrams were very clear and this little quilt top came together very easily one afternoon. 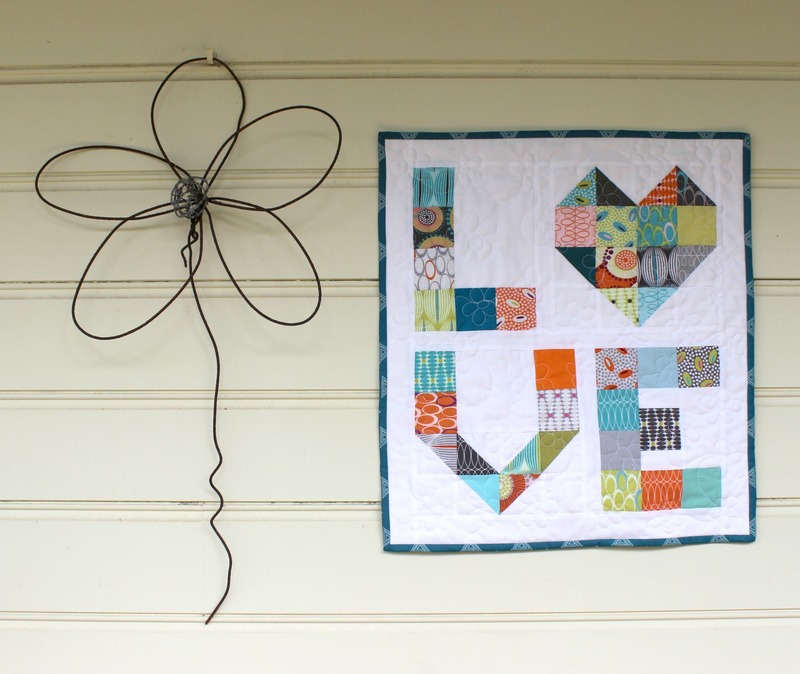 I basted, quilted and bound it the next day, so this would be the perfect little weekend project. 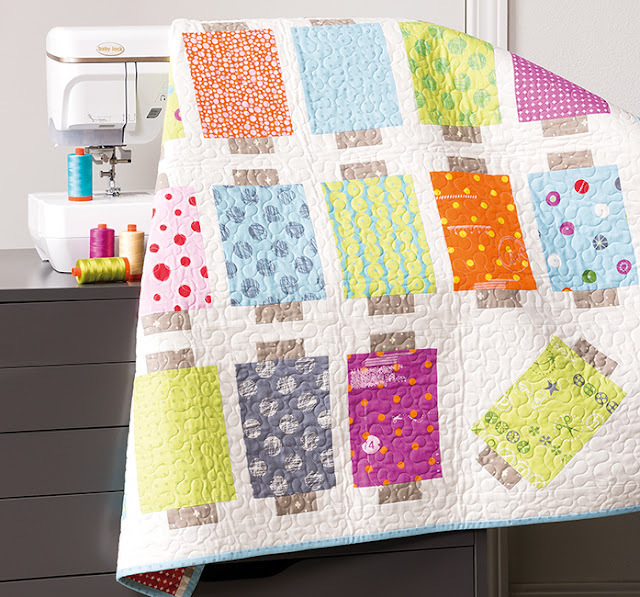 There are so many great quilts in this book. I really love Modern Spools. To see more from the book check out the wonderful bloggers below. THANKS FOR SHARING! BOOK LOOKS SO NEAT!